I loved Smurfs when I was a little girl and my children delight in them in just the same way. Young or old these funny little things really seem to appeal to us. 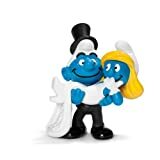 Schleich have bought out a range of smurfs for every occasion namely: weddings, new baby, Valentine’s day, I’m sorry, thanks, get well soon, party and birthday and they sent us them to review. 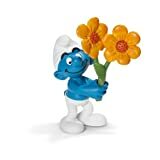 There are eight new Smurfs to choose from – each containing a specific heartfelt statement for every occasion. At just £3.39 these are a very cute and inexpensive gift and yet they really made us smile. Lovely to pop in with a card. The kids adored and made smurf lands and made up stories. I wanted to pop them in the pressie drawer but they have beaten me to it and refuse to hand them over! 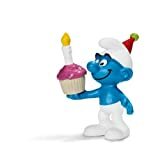 They are available from Amazon along with a vast collection of other little smurfs! Next Post It’s time to think about family holidays abroad.